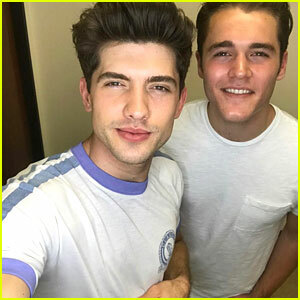 Charlie DePew Photos, News, and Videos | Just Jared Jr.
Carter Jenkins and Charlie DePew, aka enemies Rainer and Jake, are reflecting on their time on Famous In Love. The guys took to their Instagram accounts to send off their final goodbyes after the show was officially cancelled by Freeform. Famous in Love has reportedly been cancelled. After two seasons on Freeform, the network has decided to not move forward with a third season, THR reports. According to the site, a third season was planned, however, streaming partner Hulu — which has SVOD rights to the drama — was unable to provide a larger contribution for the expensive show. Bella Thorne is not happy about how she found out about it though because it was before the official confirmation. Charlie DePew is sending a lot of praise to Troian Bellisario!! The Famous In Love actor said the former Pretty Little Liars actress has a long career ahead of her after she directed this week’s episode of his show. “I am so excited for @famousinlovetv tonight. Not only did TROIAN BELLISARIO direct it, but this is also a standout episode for Jake Salt. He’s premiering Stealing Georgia and nerves are high. You will also see a vulnerable side of Jake that he hasn’t showed us until now,” he wrote. “As for @sleepinthegardn, I can say with full confidence she has a long successful career in directing ahead of her. She had her work cut out for her on this one and she quite literally handled it like a seasoned pro. I think she may be the best director I’ve ever had the pleasure of working with. We hope you come back Troian!” Charlie added. Troian has directed episodes of PLL and Famous In Love, which are both are from creator/writer I. Marlene King. Paige has made her choice on Famous In Love and is now in a happy relationship with… Jake! 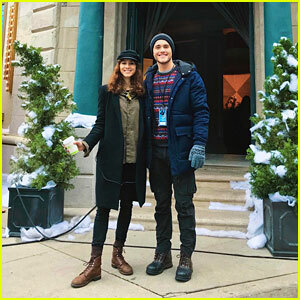 During the two-hour premiere, we jump two months ahead after the season one finale, and Paige is already filming a new movie with new boyfriend Jake (Charlie DePew), and with Cassie, too. Even though she wanted their relationship to be kept private, she initiates a sweet kiss on the beach after Jake calls cut while filming. “We’re in a good place, so I’m not worried about that anymore,” she says – before she shares a selfie of the two on Instagram and haters come at her hard. The hashtag #PaigeSucks is going around because she didn’t pick Rainer (Carter Jenkins) instead. While Paige chose Jake, Bella Thorne is still team Rainer. TELL JJJ: What did you think of the premiere? Were you happy with Paige’s choice? Does Paige Choose Jake In 'Famous In Love' Season 2? 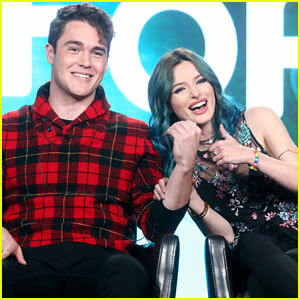 If you don’t remember, at the end of season one, Paige (Bella Thorne) realized her love for Jake (Charlie DePew) as he left for Austin, only for him to returned to LA and interrupts a press junket and says that he wants to be with Paige and that he loves her. The press then goes crazy and asks who she’s going to pick, her hunky co-star Rainer (Carter Jenkins) or her BFF/roommate Jake? “She definitely is with both characters, either working, loving, having fun, being friends — whatever it may be, she is with both of them,” Charlie says of season two. Check out the latest Famous In Love teaser and tune in when the show returns April 4th on Freeform. Famous In Love has dropped a new teaser trailer for the upcoming second season. The new clip shows a lot of negative events happening, and a few positive ones, but also is free of any guest stars. 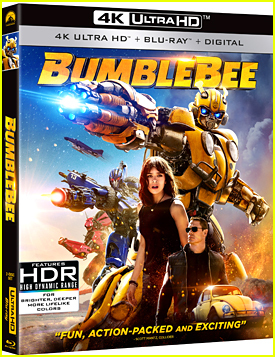 You see Bella Thorne‘s Paige get told her part is getting recast, Jordan gets slapped across the face by Tangey, and more. Check out what guest star Sofia Carson dished about her character and find out more about the other guest stars in season two. Famous In Love season two premieres Wednesday, April 4 on Freeform!